First you will need a small pin loom, like a Zoom Loom by Schacht. 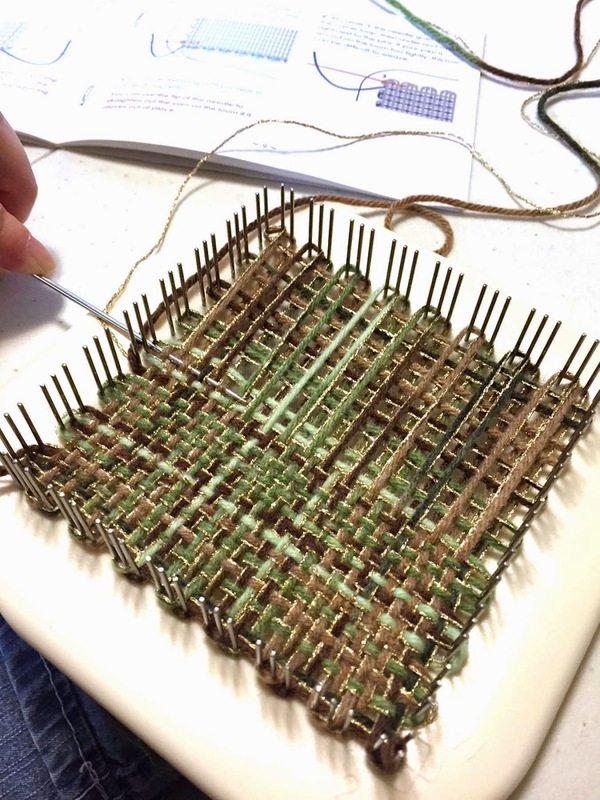 This tiny hand loom has pins in place that allow you to weave in and out quickly, making a woven square that you can then transform into many items. Designer Deb Essen, for instance, has a line of stuffed animals made from squares. At the TNNA Columbus trade show this month, she is releasing a line of Christmas ornaments made out of Zoom Loom squares. You can also combine them into scarves, sweaters, blankets, etc. 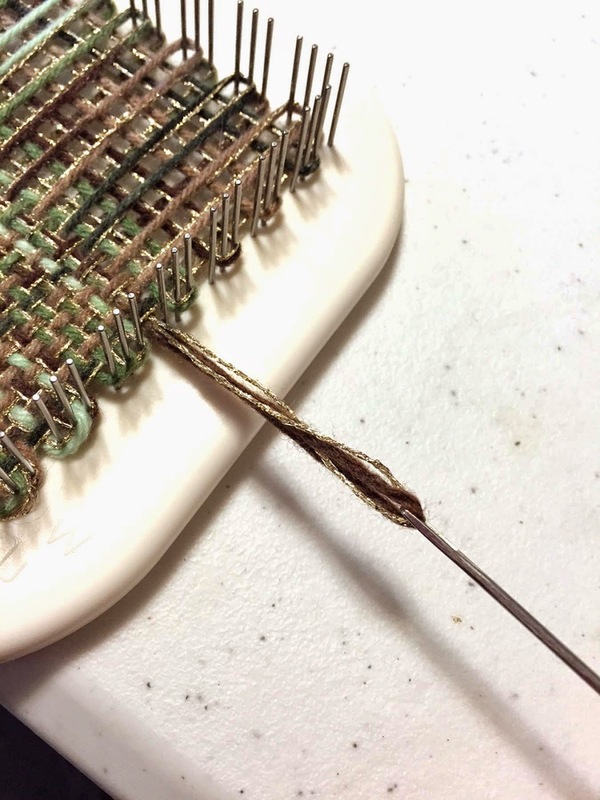 Pin looms have been around for awhile, but they are seeing a resurgence because they use up yarn stashes, you can use any kind of fiber, they make quick projects, and they are travel size. 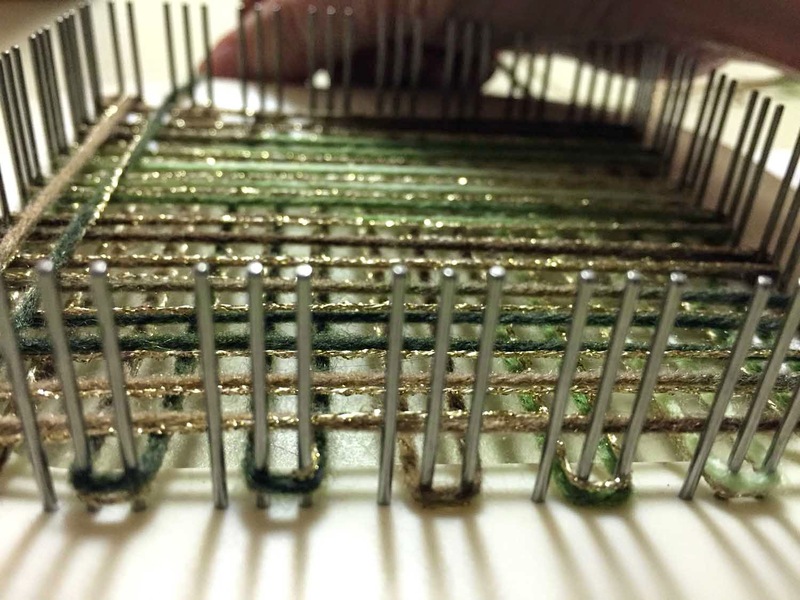 Doug Kreinik and his brother had pin looms as children, and they made hundreds of little squares that their mother, company founder Estelle Kreinik, could turn into an afghan. (Side note: about 30 years later, Doug found the box of squares in his mother's closet, still waiting to be sewn into something. Don't be sad for Doug, though: some of those squares eventually appeared in an issue of Piecework magazine.) Once you get started making your squares, be sure to turn them into something. 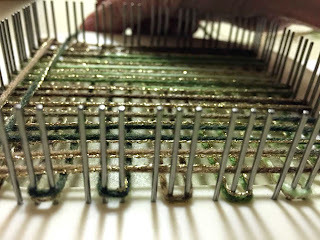 How do you use Kreinik metallic threads in a Zoom Loom? The answer: just like any other yarn. We like to combine the thinner Kreinik metallics like Blending Filament, Very Fine #4 Braid, Fine #8 Braid, and Ombre with other yarns as a way to create custom blends, or dress up plain yarns. See the photos for one idea, combining Kreinik gold Ombre with a camouflage colored yarn. You can also use the heavier Kreinik metallics by themselves for a bold, contemporary woven look. When you use a carry-along fiber in crochet, knitting or weaving, keep a watchful eye on the two fibers, making sure you don't separate them with your needle or hook. You can also use the heavier Kreinik Braids and Ribbons by themselves in your pin loom, although the final result may be a bit stiffer. These threads are ideal for projects that won't be worn. 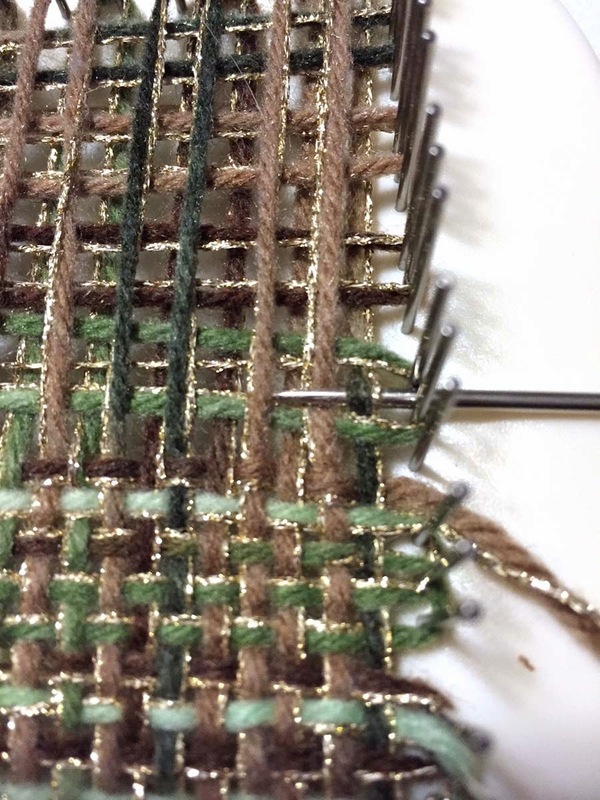 Metallic threads don't have the elasticity of cotton or wool yarns. You can still wash items made with metallic threads, but they may not shrink stretch like other types of fibers. In all Zoom Loom projects, watch that your tension isn't too tight. Weave carefully or slowly to avoid tangling, twisting, and knotting of the thread. 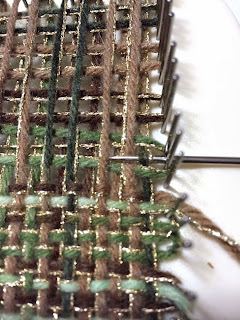 Kreinik metallic threads are also used on rigid-heddle looms, but you need larger cones for those projects. However a simple, small spool of Kreinik is all you need on a pin loom. Grab your favorite color and start weaving! It's simple, quick and fun—a perfect creative activity for kids and adults this summer. Kreinik's unique line of knitting yarns offers you options: 1. the option to add any layer of sparkle to a design (choose single ply, 3-ply, 6-ply, or 8-ply metallic), and 2. the option to create your own yarn blends (combine colors to match outfits). With Kreinik carry-along metallics, designs are transformed from blah to gorgeous while you create a unique look all your own. 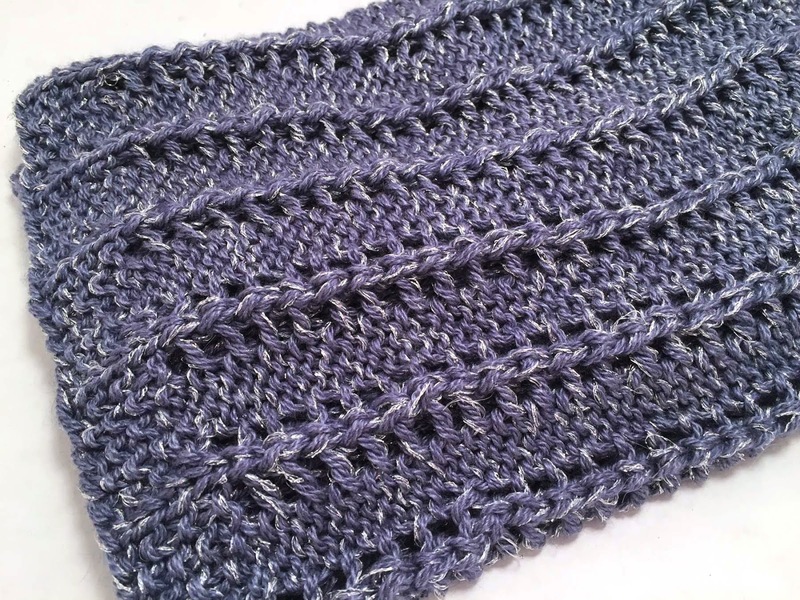 Diane Zangl has created this quick cowl project with these options in mind. You make a basic pattern even prettier with the super-soft Kreinik Twist, using a silver that complements any yarn (from your favorite yarn store or from your stash). We picked a wonderful cashmere blend from Trendsetter Yarns because when you are wearing something around your neck, it should be dreamy. 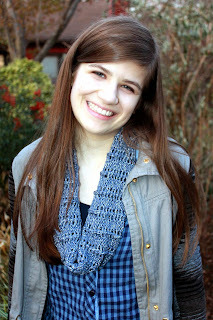 Don't skimp on your knitting and crochet yarns—you will feel the difference. Wear this cowl scarf inside a coat for added warmth on cool spring nights, as an extra layer on blustery winter days, or drape it over a blouse or dress for a casual look. 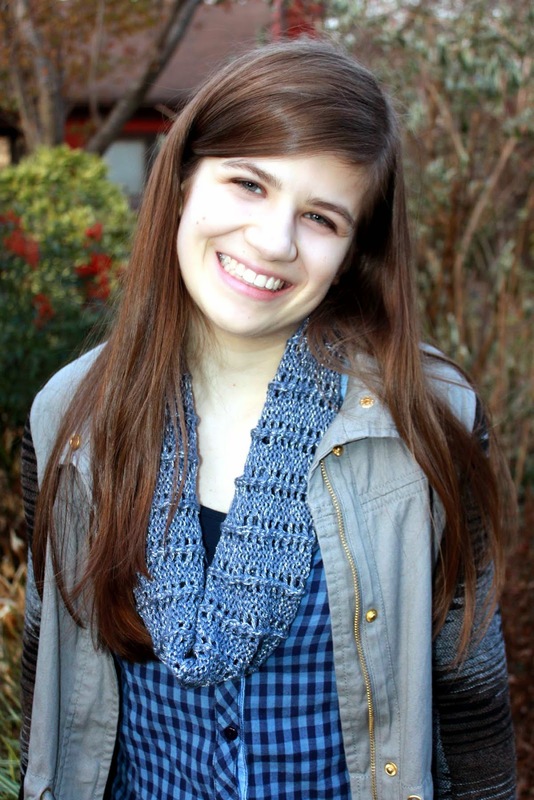 The scarf begins with seeded rib and features a delicate 2-row openwork pattern. It is worked circular. Both sides are equally attractive, which doubles the options. Cowl is worked with 2 strands Silky Cashmere and 1 strand Twist held together throughout. CDD (Centered Double Decrease): Sl 2 sts tog knitwise to RH needle, knit next st, pass 2 sl sts over knit st. Center st wil lie on top of other 2 sts. Cast on 132 sts. Join without twisting, placing marker between first and last st.
Rnd 2: *P1, k1, p1, k3; rep from * around. Rep these 2 rnds until a total of 7 rnds have been completed. Rnd 1: *P3, k3; rep from * around. Rnd 2: *P3, yo, CDD, yo; rep from * around. 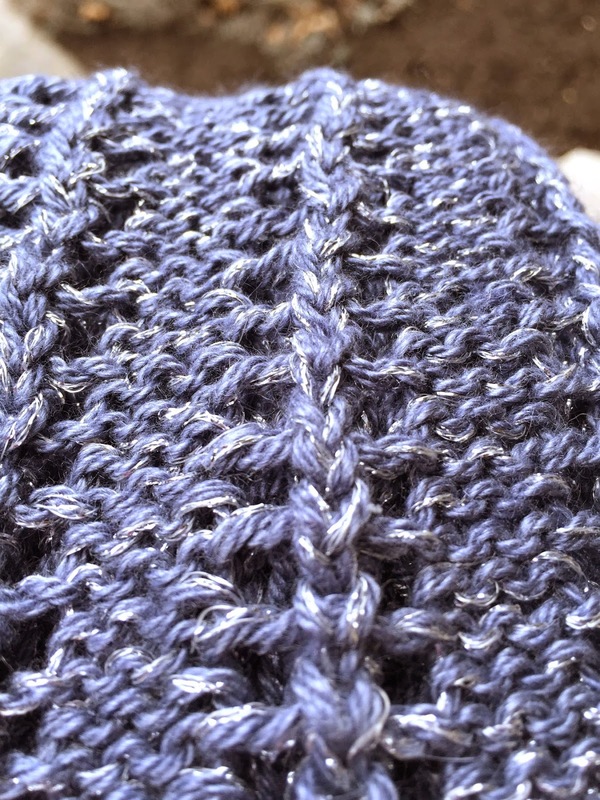 Rep last 2 rnds until cowl measures 9” from beg, ending with Rnd 1. Work 6 rnds in Border pat. 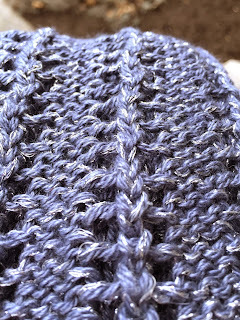 Bind off loosely in Border pat Rnd 1.